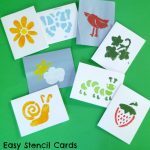 These homemade cards are such a wonderful gift from one child to another! 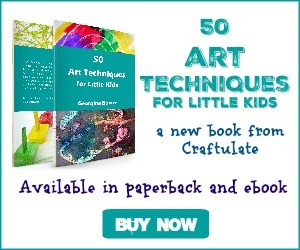 Depending on the age of your child, you can paint their hand for them, or they can do it themselves! No need to paint the thumb! They key is to get one colour of paint for the palm, and a different colour for the fingers. Apply the paint generously but evenly to the palm and fingers. 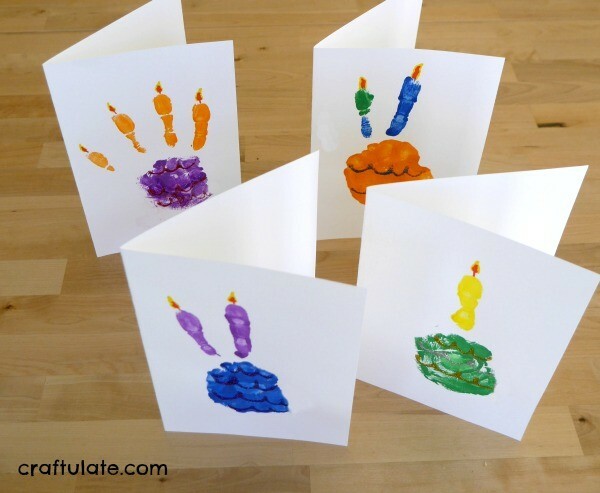 Firmly press your child’s hand onto one end of a piece of card so that it can be folded in half (or pre-fold the card). 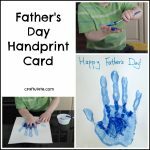 Always have a damp cloth or baby wipe to hand for quick clean up after making handprint art! 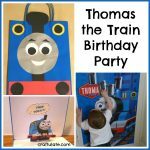 If the recipient of the card is celebrating their fourth birthday, then this is ideal! 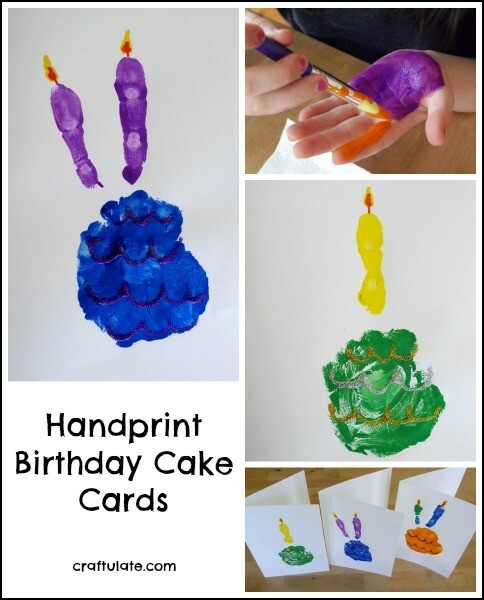 If they are turning 1, 2 or 3 then you could just paint that number of fingers. 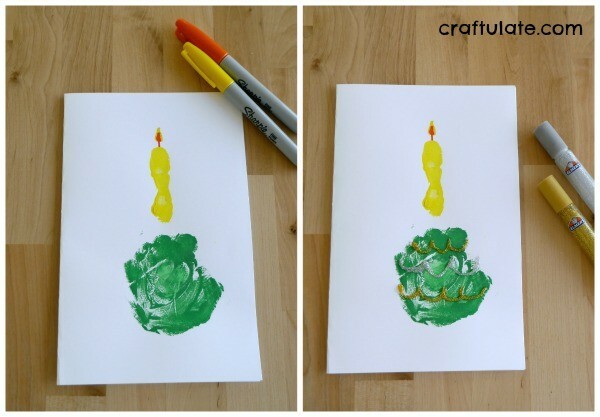 For birthdays five and over, the extra candles can be painted in behind the original fingerprints. 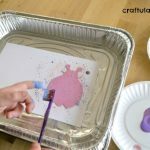 When the paint has dried, use marker pens and/or glitter glue to embellish the palm to look like the cake, and the fingers to look like candles. These are the handprint birthday cakes made by a 7-year-old friend of my son’s. I think the smaller the hand, the cuter it is! I love this!! What a genius idea! So doing this! !